This is the first article I am writing on this subject Get Found Locally Online. In the past I have primarily quoted the “experts” for information on this subject. 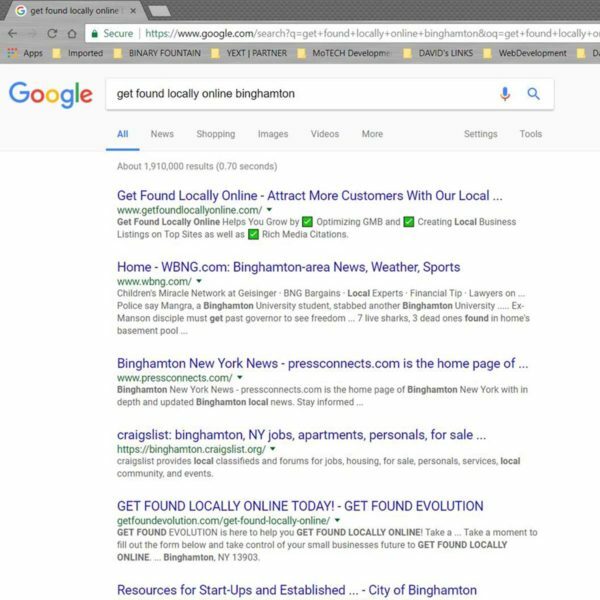 It is time that I step up and share my experience with working for small businesses to help them get found locally online and off. This topic is expansive and this article will cover some basics that can be expanded upon over the course of time, which is the evolution for small business expansion. I rebranded by company MoTECH Development to Get Found Evolution in January of this year . I began my initial SEO campaign with SEO by YOAST in my WordPress site build page by page. 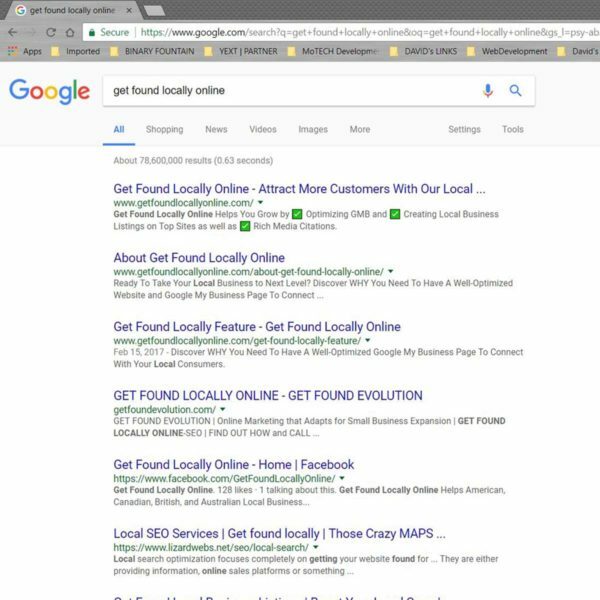 The crucial aspect of the SEO for each page was to find the right mix for a keyword phrase that is searchable and that works well for people reading the text on the site. It is one of the building blocks for a small business to have a solid foundation to get found locally online. 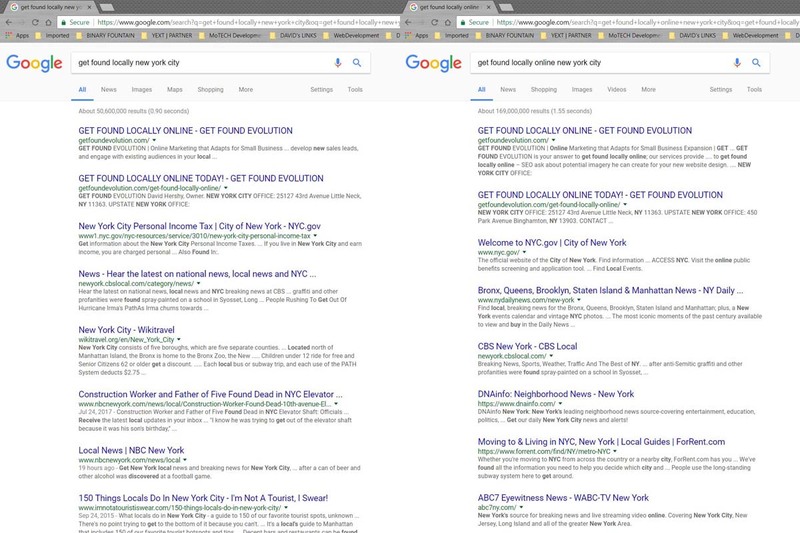 It took my three iterations of writing and rewriting the text to discover the most effective keyword phrase that blended well with the robots that crawl a site to determine what it is all about and that makes it easy to read for the person visiting my site. 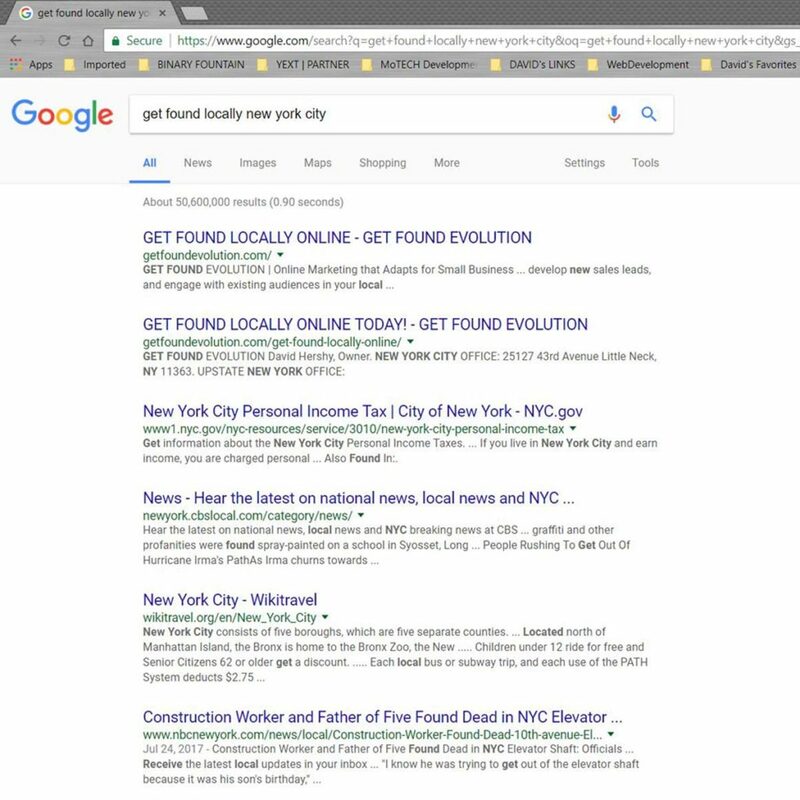 The first results in New York City appeared to me to be relatively good. I was on page 10 in Google Rankings. For most small businesses that is for all intent and purposes being buried because no one goes that far back in an organic search. However, being a small business with this being my first campaign I felt pretty good about it. 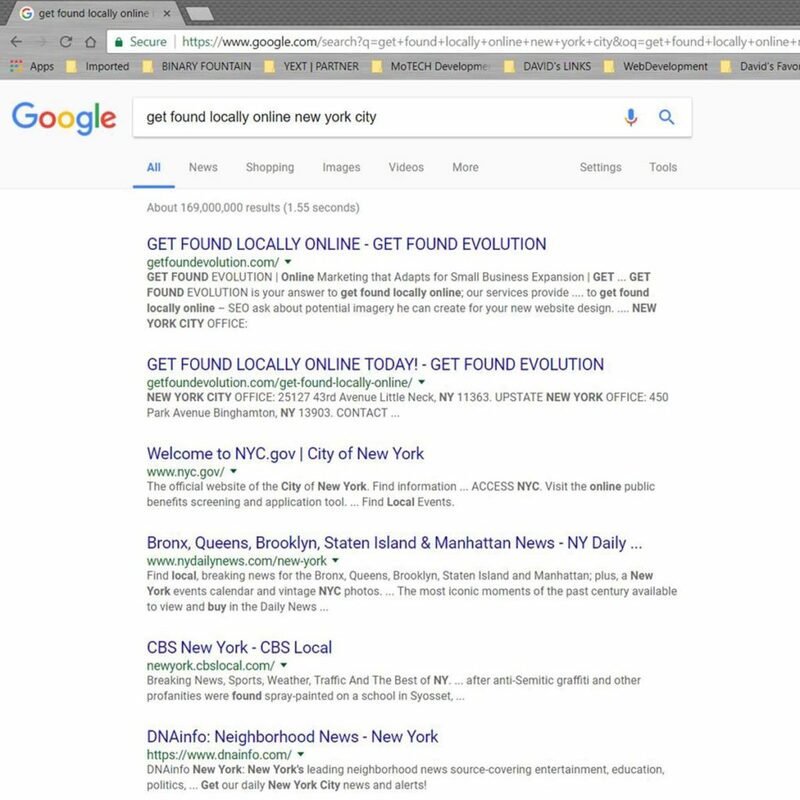 It was the beginning for Get Found Evolution to get found locally online. I began doing some research on SEO and what affects it dramatically. SEO has many facets that when they are combined with other facets can be very effective. 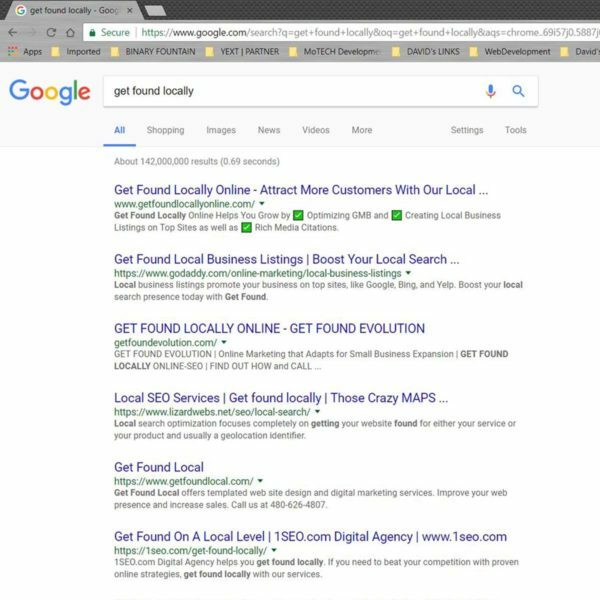 What I found is that the business listings online and the accuracy that the company profile has digitally play an important role in rankings. Google LOVES accuracy and consistency of a company’s information and will propel those companies higher in organic searches. To accomplish accuracy and control of my own digital profile I found a company that I partnered with as a small business partner. That company is YEXT. Once I partnered with YEXT I set up my own company’s Digital Profile. It took 10 days for my digital profile to propagate through the 70 plus Directories, Social Media and Listing Publishers that are available through the Digital Presence Management . A powerful aspect of the control of my digital profile is that it is LOCKED down and cannot be changed without my authorization. Now I began to see ranking results. It has now been 3 months since launching the Digital Profile for Get Found Evolution. I am very pleased to say that in New York City for the search terms “Get Found Locally” and Get Found Locally Online” we are ranked at the top of page ONE on Google. 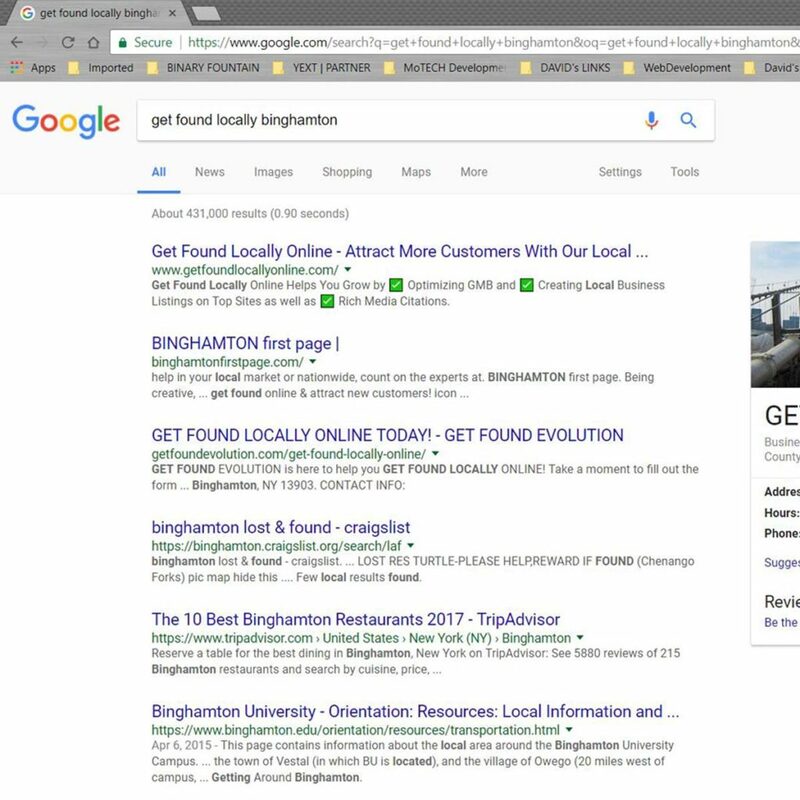 In Binghamton for the same search terms we are on the FIRST page and when searching with no specified location we are still on the first page. See the ranking images below. 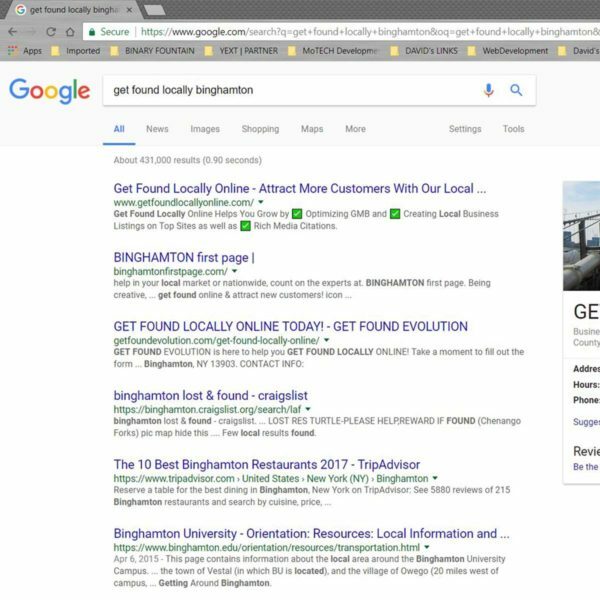 I am working with several other small businesses between New York, New Jersey and Philadelphia on their SEO and Digital Presence Management. 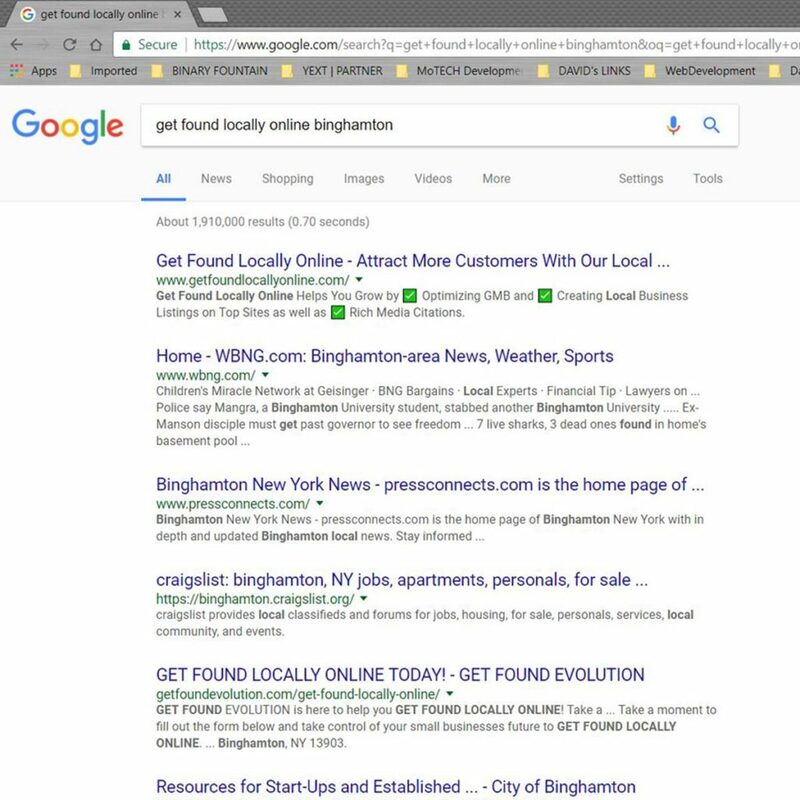 Each of the companies are doing very well and are all on the first page of Google for searches in their local markets. The bottom line is that a small business does not have to spend an arm and a leg to get ahead of the competition. It just takes a committed business partner who has pricing that is extremely reasonable for you to take control of your online presence. Maybe it is in your best interest to combine quality SEO that is written to propel your business in the rankings as well as having a Digital Profile that is managed and LOCKED DOWN to enable accurate information and services/products to be displayed for your customers to see and find.